All Quailwood homes currently listed for sale in Dewey-humboldt as of 04/23/2019 are shown below. You can change the search criteria at any time by pressing the 'Change Search' button below. 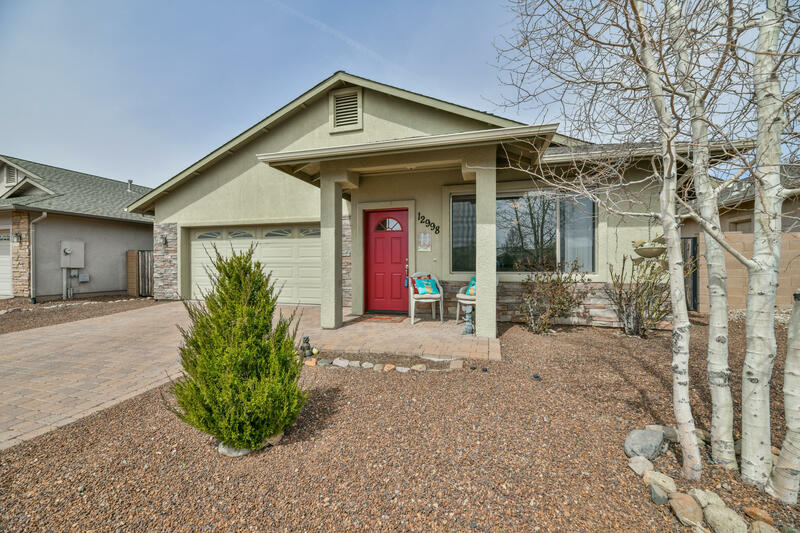 "Looking for that UPGRADED move in ready home on a HIGHLY desirable lot in Quailwood? Well you found it... Seller spared no expense on this Popular Mount Rainier model. Home has 8ft interior doors, 36in wide for easy handicap access. Entertain on the large private patio w/ endless mountain and Prairie views, gas firepit, outdoor kitchen with built in grill.Beautiful light and bright Kitchen includes tons of white maple cabinets, granite, upgraded SS GE appliances, french door refrigerator, gas co"
"IMMACULATE, MOVE-IN READY HOME, SEQUOIA model, in the Legacy at Quailwood. This gently lived in Spectacular home has a Premium lot that backs to a golf course. Front and backyard professionally landscaped. Low maintenance yard with cozy covered patio in the back. 2 bedroo, 2 bathroom home with an office/den that could easily be converted to a 3rd bedroom. 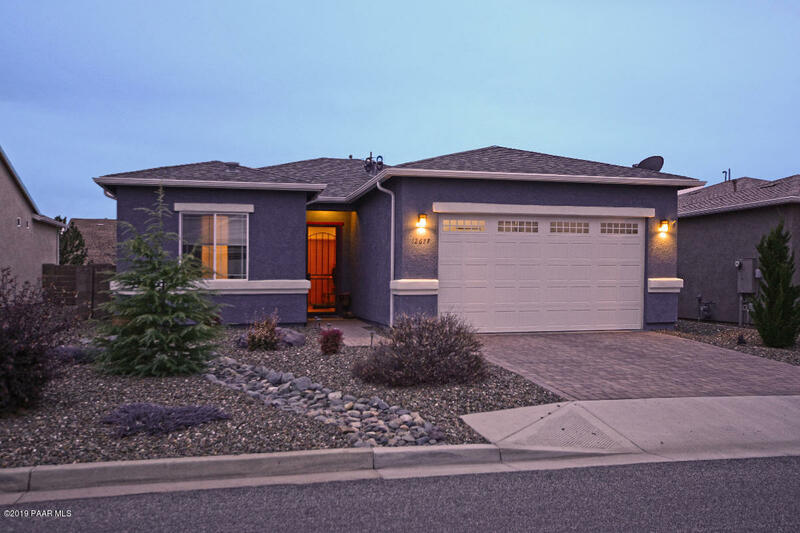 This beautiful home features several upgrades, including upgraded tile and upgraded carpet in bedrooms only! An entertainers dream, a wonderfu"
"Four bedrooms on one level w/extended 3-car garage!! 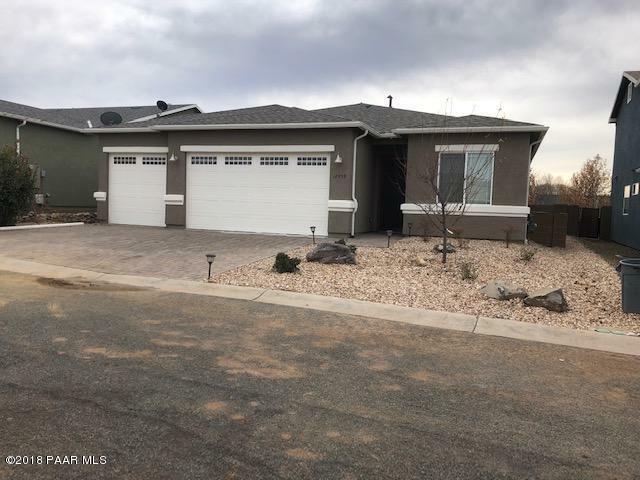 Extra large lot with unexpected Bradshaw Mountain views. Extended master bedroom, patio, and dining room. Upgrades include wood plank look tile flooring throughout living areas, upgraded carpet in bedrooms, upgraded kitchen counters and cabinets (whole house); plenty more too. This home is under construction; prices subject to change." "Beautiful, ready to move in home in desirable Quailwood neighborhood. 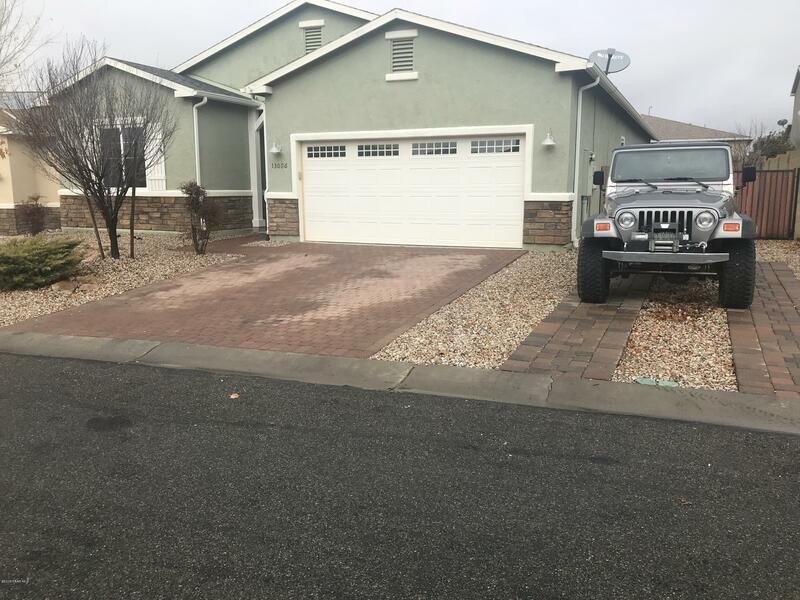 Premium large corner lot with extra large gate for vehicle access. Low maintenance fully landscaped front and back yards. This wonderful home has been well cared for and gently lived in for a little over a year. Very popular open floorplan offers a large kitchen island with energy star appliances and solid surface countertops. Upgraded wood look tile throughout with carpet in the bedrooms. Huge laundry room with lots of storag"
"3 Bedroom PLUS DEN, on one level. Peek a boo view to Bradshaw Mts. in back yard. Front Door Security Screen. Extended Pavers on back Patio. Upgraded tile throughout except bedrooms and Den.Upgraded granite in Kitchen. Extended Bay Window in Dining Room and Master Bedroom. 8 ft. high doors. Std. 10' ceilings throughout. Mature Landscaping in front and back. 3 Car Garage with door opener for 3 bays. Upgraded kitchen faucet, electrical floor plug in Great Room. Window Coverings, Ceiling fan p"
"Beautiful turn key home with many upgrades. One of the few homes here with side yard access with large gate. Upgrades include: 2 car garage has a 2' extension and 220V outlet. 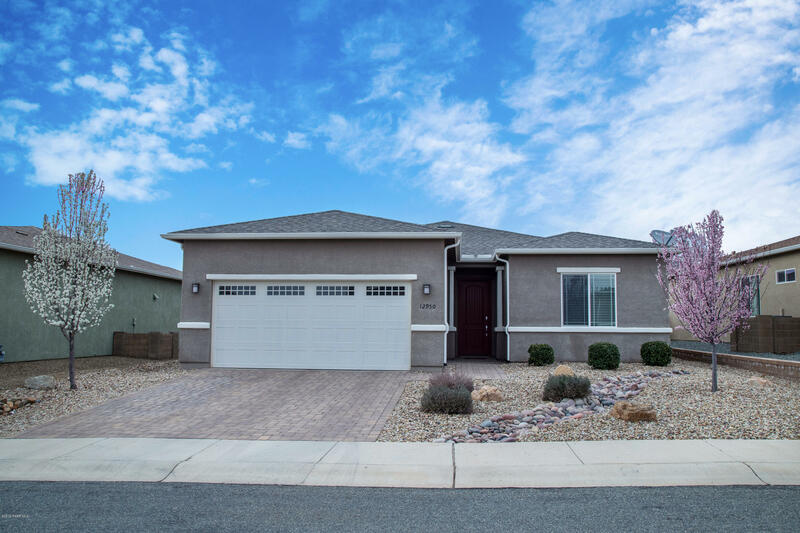 Granite counter tops throughout, extended large kitchen cabinets w/pull out shelves in lower cabinets, upgraded attic insulation, six panel interior doors, under layed sinks throughout, tile floors, bedrooms and living room carpets, front door security screen, GE stainless steel appliances. Power & cable hookups on back"
"Welcome home! This turn key beauty is located in the highly desired neighborhood of Quailwood Meadows and still has that ''brand new'' feeling. Its open-concept design creates a living space that appears expansive while somehow retaining its cozy atmosphere. Upgraded Granite countertops highlight the spacious Kitchen equipped with a walk-in pantry. Gorgeous Tile floors are easy to clean, small backyard is a breeze to maintain. 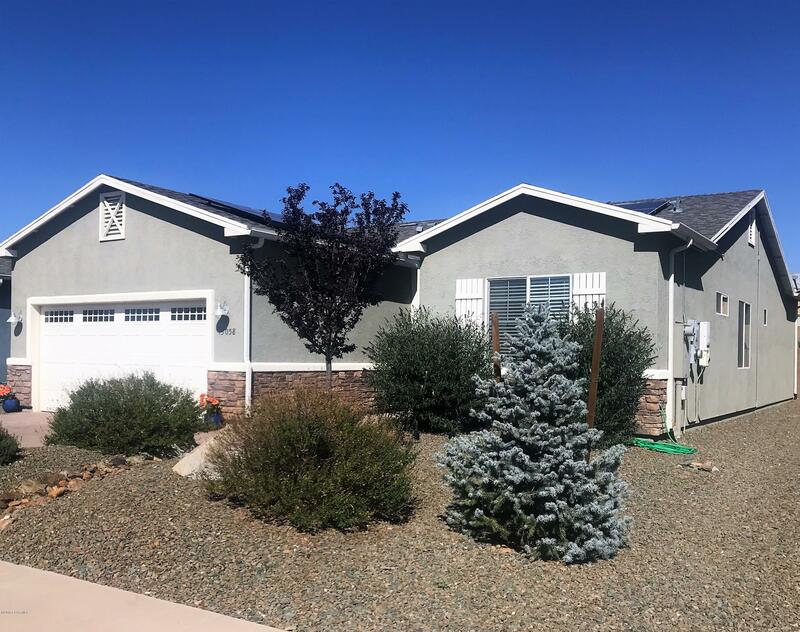 Low HOA Fee gets Owner unlimited access to Community Center which inc"
"Like new 2 bedroom, 2 bathroom move in ready home with stunning mountain and golf course views. This home includes family room/den and enormous Great Room. 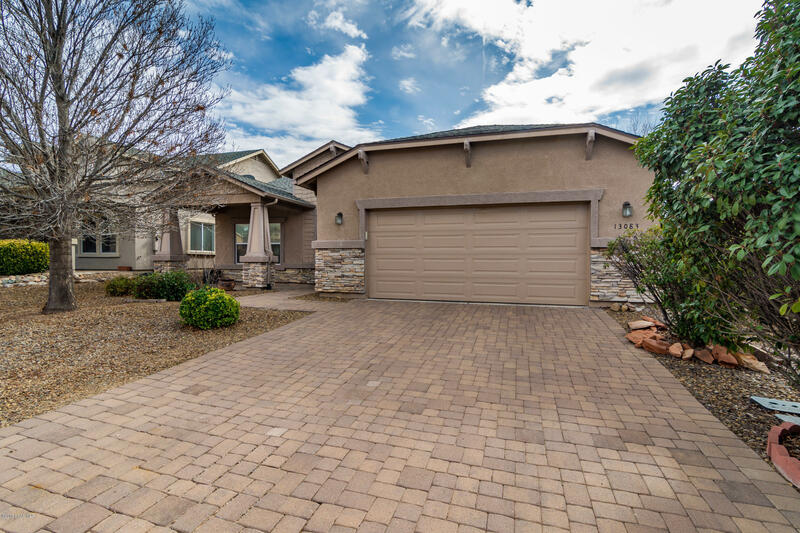 This home sits on a premium golf course lot with views of the Bradshaw Mountains and the Quailwood golf course. Builders home warranty is transferrable and included in the purchase as construction was completed in 2017." "Popular Grand Teton model. This was a spec home. The master bedroom was extended two feet with the bay window extension. 8 foot interior doors and two tone paint. Gas range and maple cabinetry. Upgraded tile flooring throughout except the three carpeted bedrooms. Located in beautiful, amenity filled Quailwood. Fitness room, tennis, pickle ball, basket ball, outdoor swimming pool, game rooms, Community Center and much more. Just minutes from 2 public golf courses." 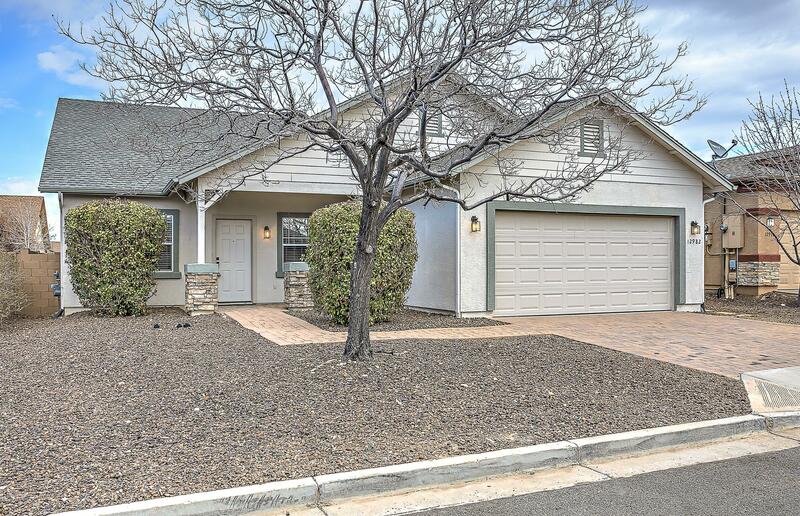 "Like new, beautiful move in ready, two year old Bryce Canyon on desirable corner lot. Have morning coffee or sunsets on the extended covered front porch with amazing views of the Bradshaw Mts. Stacked stone accents, paver walkways, porch and patio. 3 full bedrooms, 2 bath, 10 ft. ceilings and 8 foot doors, plantation shutters and designer paint package throughout. Kitchen includes upgraded stainless appliances as well as upgraded granite countertops. Kichler pendant/lighting package and ceil"
"Former model w/upgrades & great location!! Bradshaw Mountain views from the private, pro-landscaped back yard! Extended paver covered patio, mature trees, easy-care turf & flagstone accents! Paver drive & covered front porch, security screen door, stone accents! Formal living/dining combo & office w/double doors, (could be 4th bdrm). Great rm w/fireplace & built-in media niche! Island kitchen has granite counters, upgraded appliances, pantry, eating area + breakfast bar! Tile floors in entry, ki"
"Beautiful and well maintained home on a larger corner lot in the desirable neighborhood of Quailwood. 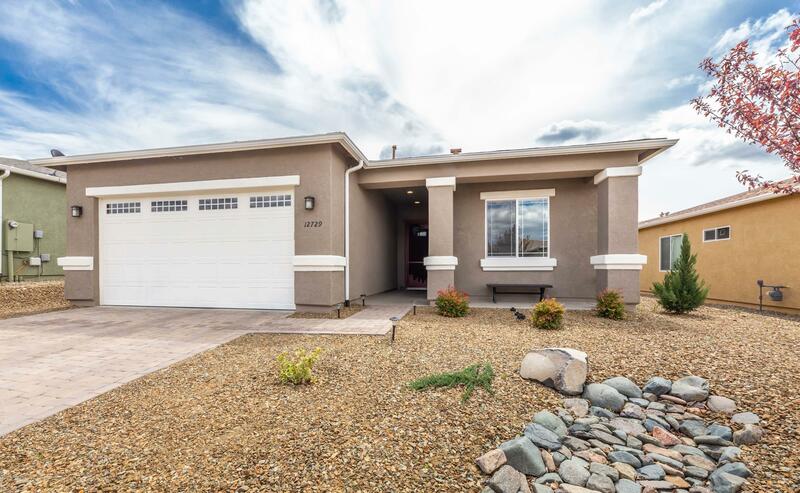 Spacious open concept living area as you enter with newer upgraded carpet in the living room and 3 large bedrooms with appealing tile everywhere else. Enjoy nice weather days under an extended covered area on the side patio with existing planting beds for your green thumb and homegrown fruits and vegetables in the welcoming backyard. Cook multiple meals at the same time in the double oven/range "
"WHY WAIT FOR NEW BUILD?! 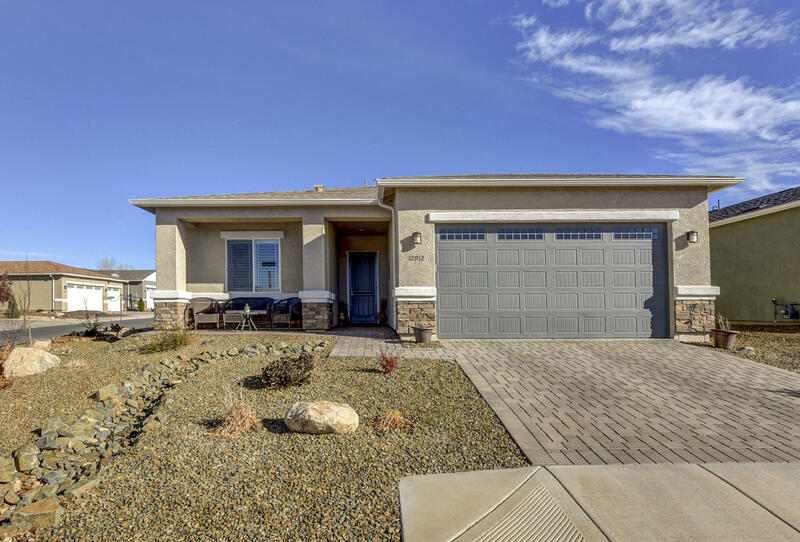 This Charming 2016 Dorn ''Bryce Canyon'' home is all ready for you! Come see this open, light and spacious Beauty with Great Room, 3 bedroom, split plan, perfectly appointed Kitchen with stainless appliances, Island /Breakfast bar and bay window dining area. 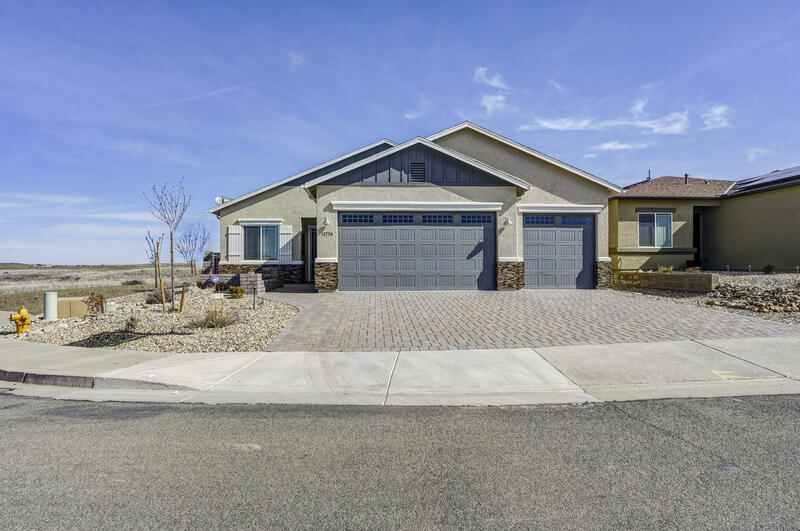 Check out some of the great upgrades... including plank tile flooring, granite counters, executive height counters in the bathrooms, whole house recirculating fan, and recirculating hot water throughout... Don't "
"Gorgeous Bryce Canyon model only 3 years new. 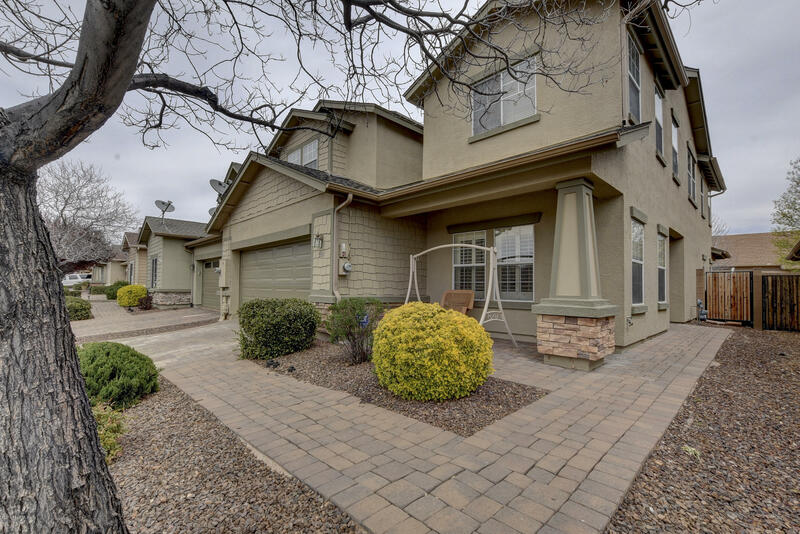 This home features many upgrades, 10 foot ceilings and 8 foot doors throughout this open floor plan home. Surround sound in great room as well as speakers throughout the home and backyard patio. Wood look tile floors throughout and laminate in one bedroom. Stainless Appliances, granite countertops and beautiful kitchen backsplash. Low maintenance yards with extended paver patio in the backyard. Visit this home today before it is sold. 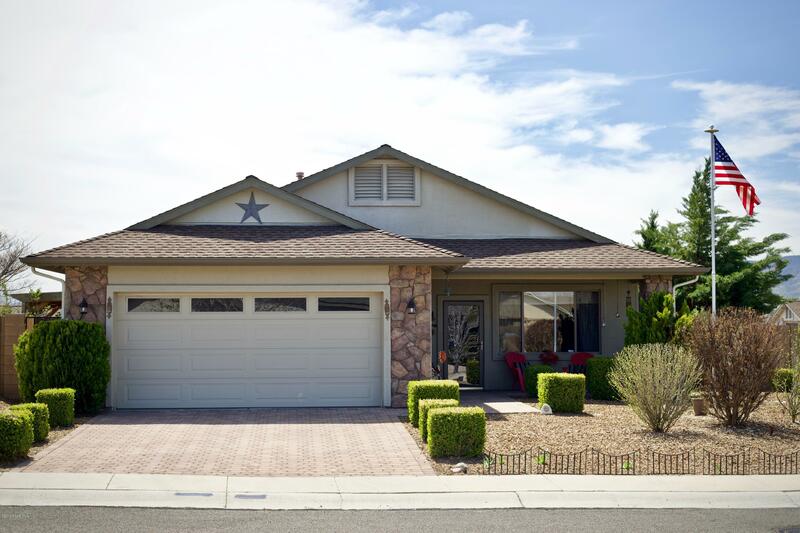 Included is the"
"If you are looking for a home is a highly sought after community with great facilities and friendly family neighborhood, then look no further. 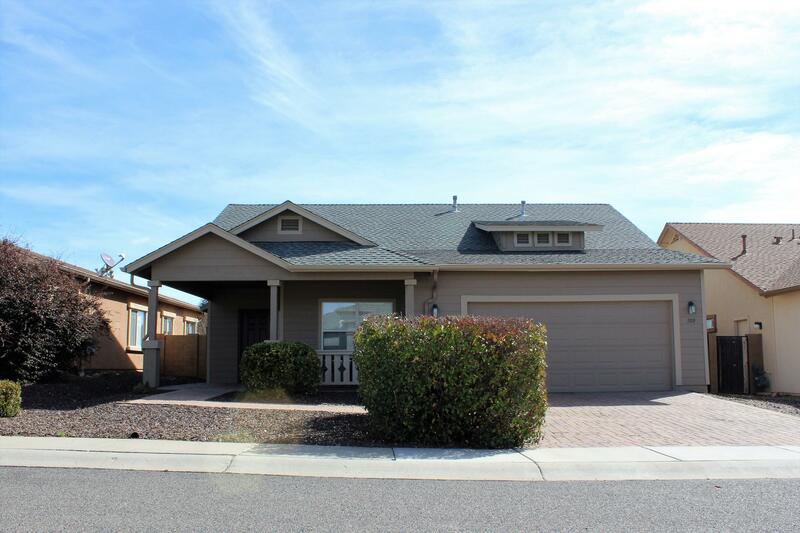 This home is a turn key opportunity with laminate wood flooring and tile throughout. The floor plan provides 2 spacious bedrooms, a den that can be used for an office and a great sized master bedroom. You can enjoy all seasons of the year with a screened in sun-room and a well landscaped back yard. You won't want to miss this turn key home in this lovely "
"Upgraded & Beautiful Quailwood Meadows Home, Move In Ready! 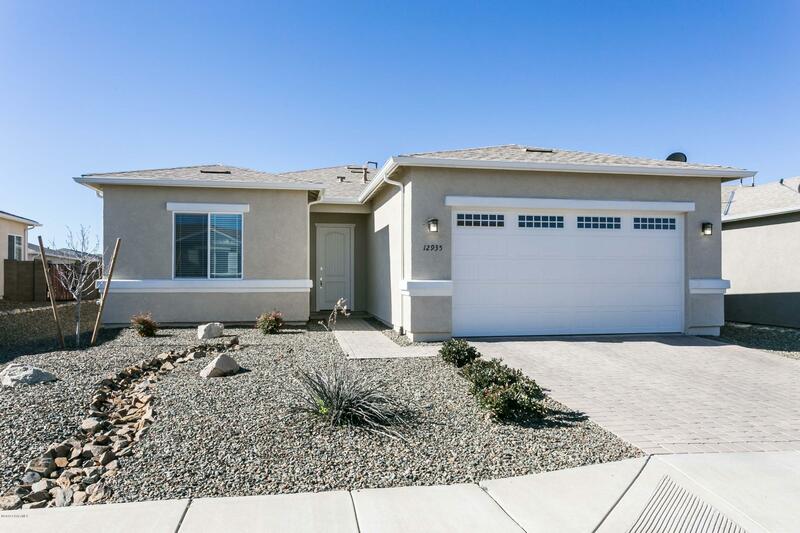 Nice Single Level, 4BD/2BA/2GAR, 1888 SqFt. 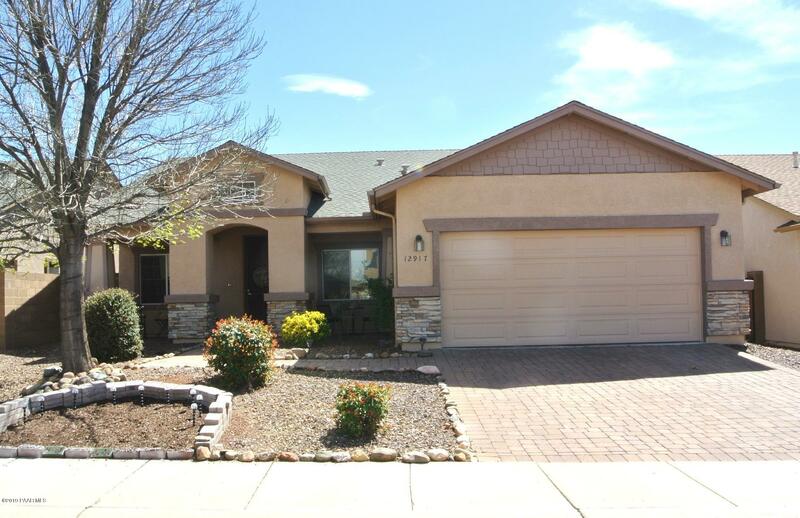 Large Formal Living Rm/Dining Area w/NEW Carpet & Pad, NEW 2 Tone Paint & NEW Window Blinds throughout. Bright Granite Kitchen w/White Appliances, Gas Stove, Refrigerator, Closet Pantry, Tiled Flooring & Informal Dining Nook. Open Tiled Great Room with Sunny Sliding Door to Rear Yard, NEW Vertical Blinds, Cozy Tiled Fireplace, Media Niche. 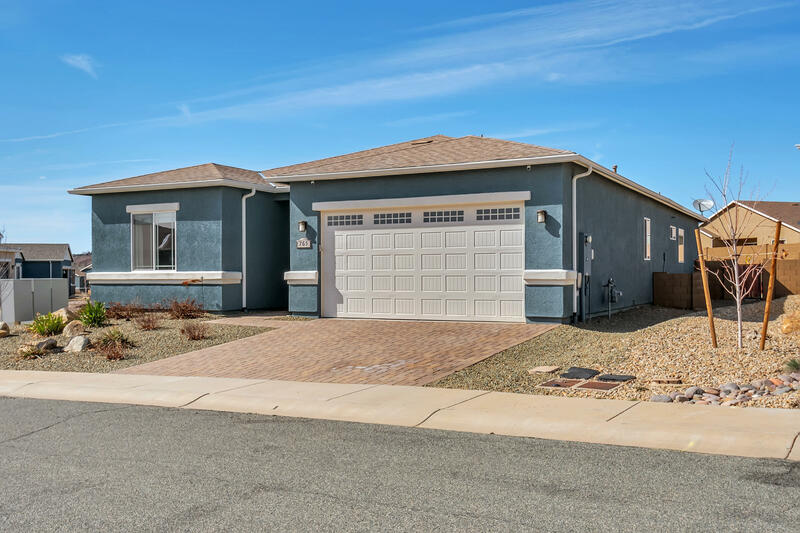 Master BD with Tub/Shower combo, Linen & Walk In Close"
"THIS HOME WAS ORIGINALLY SOLD WITH ALL THE UPGRADES BY THE BUILDER AND THEN THE CURRENT OWNER REPLACED THE KITCHEN APPLIANCES, 6 BURNER GAS RANGE, SS DISHWASHER AND MICROWAVE, SOME RECENT INTERIOR PAINT, TOO. THE FRONT ROOM WAS REDONE TO OFFER A LARGE GREAT ROOM AREA AND THEN THERE IS A FAMILY ROOM WITH DINING AREA. KITCHEN HAS A LARGE BREAKFAST BAR, TOO! HANDICAP DOORWAYS THROUGHOUT THE WHOLE HOME AND 2 LARGE GUEST BEDROOMS, THEN THE MASTER AND MASTER BATH. PRIVATE LOCATION WITH OPEN SPACE "
"Lots of home for the $$, Enjoy the kitchen open to the Great room. This home has a a Separate Living Room, Family room & Game Room + an additional flex space for another bedroom, library or Theater room. Added to that is a Spacious Master suite with large walk in closet and a master bath with separate shower and tub. Island kitchen with Corian counter tops and gas range, lots of cabinet space. HOA maintains the front yard landscaping, exterior paint and the roof. Perfect lock and go home or"
"What a fantastic home located in the desirable Quailwood community! Many upgrades offered. 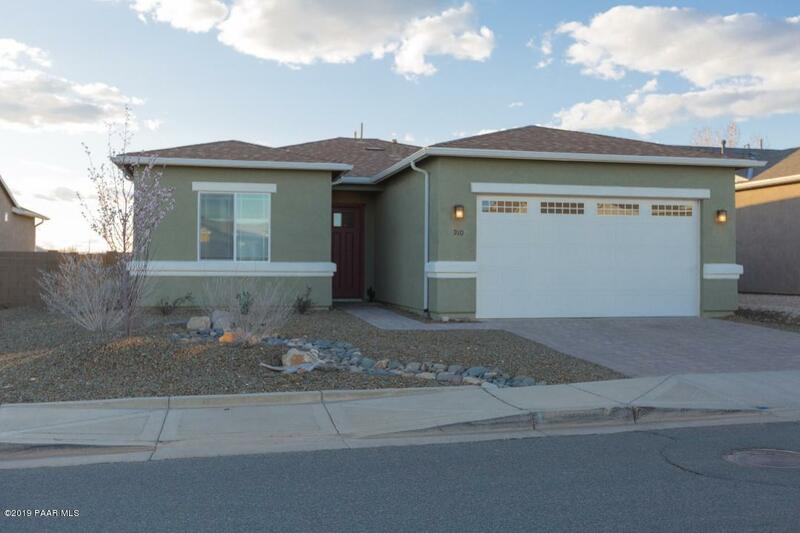 This 3 bed/2 bath home features 10' ceilings, granite kitchen counters, large pantry, newer stainless steel appliances including microwave/convection oven. Custom built entertainment center in living room and upgraded bay window in dining area. Appealing front exterior with stone accent, paver driveway & entry and fully landscaped front yard with drip system. 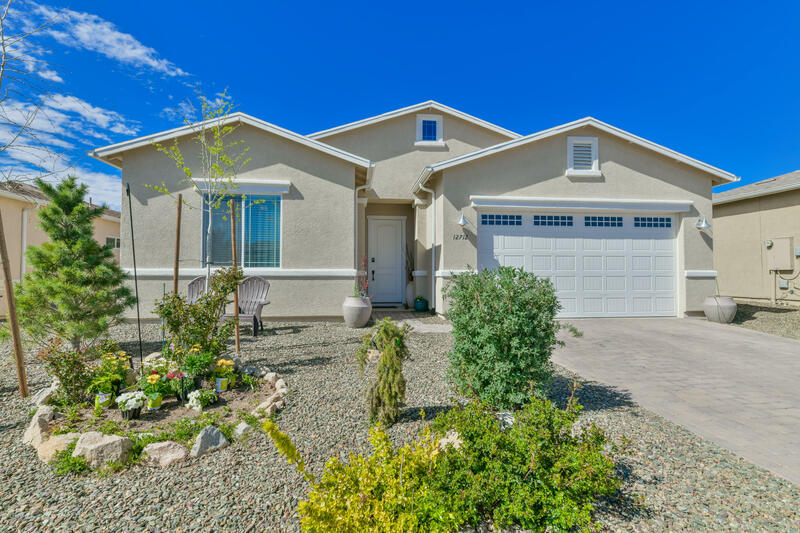 The backyard, also fully landscaped, offers an"
"Excellent Quailwood home ready for you and your family! Enjoy making this 3BD/2BA/2 Car Garage canvas your happy place. Nice open concept living. Gorgeous tile and carpet flooring. Kitchen includes hickory cabinets and fine granite countertops. Spoil yourself with the master garden tub, dual sinks and walk in closet. Cozy up in the sizable great room in front of the tiled gas fireplace and built in entertainment center. After a long day, finish up with a soak in the near new (1 yr old) hot tub u"